- Lifetime worry-free product guarantee for every purchase from Kaiercat. - The charging time is about 8 hours. Pls charge it for full 12 hours at first time. 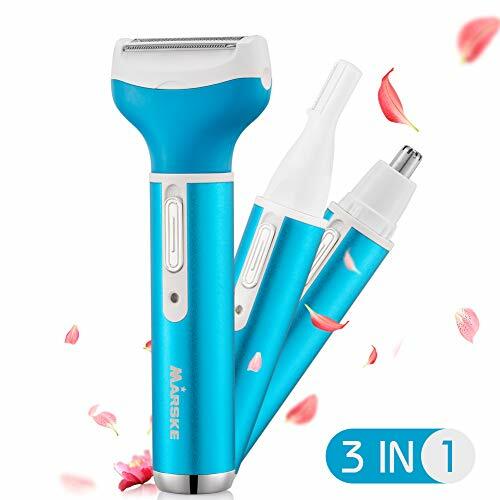 The Hair Removal Kit has 3 different trimmer heads which provide comfortable and effective removal of body hair, also unwanted hair around ears, nose, even eyebrows. You do not need to pay extra fee for other trimmers. This Shaver & Trimmer Kit is built in with sharpest stainless cutting blades and strongest reliable motor, also exquisitely designed and covered by stoving varnish which looks very beautiful and lovely, perfect as gift for women. And it's rechargeable and water-resistant, allows you use the device at optimal power and in the shower.